Advice from NPR: You can double the recipe, but if you want to make more you shouldn’t try to multiply the recipe by three or four — simply keep doubling the recipe. One cookie sheet makes one batch. 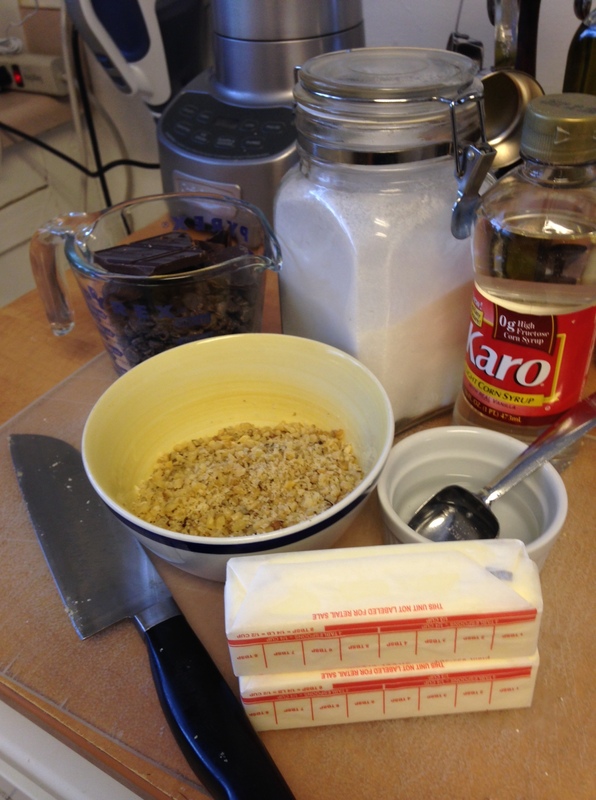 This recipe originally appeared on NPR’s “Hear & Now.” Here’s the segment and original recipe. * Buttercrunch can be made with regular grocery store milk chocolate or chocolate chips, but you can also splurge and use bittersweet or semi-sweet 60% cocoa chocolate. ** You can use walnuts, almonds, pecans, pistachios or any other type of nut, but it must be finely chopped to adhere properly to the chocolate. LET’S GET STARTED Line a cookie sheet with aluminum foil. Spray well with cooking oil. Set aside. 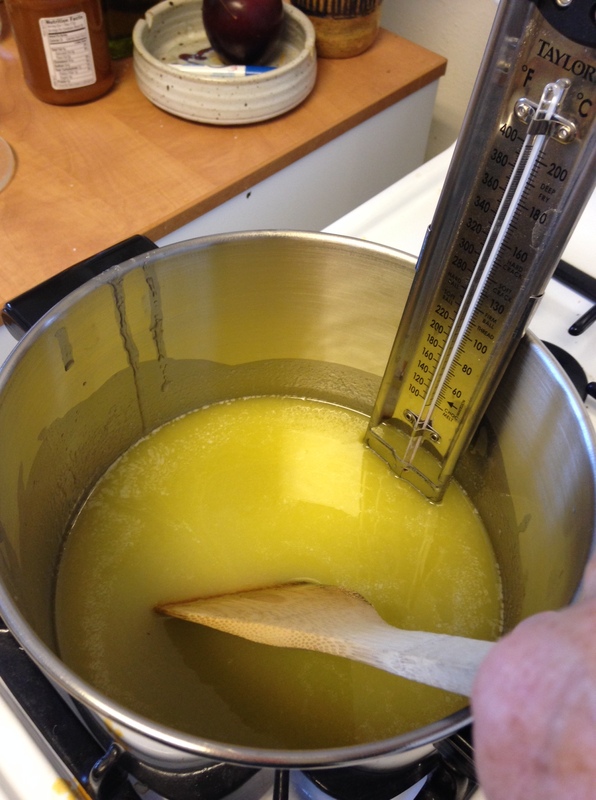 In a medium saucepan, heat the butter, kosher salt, sugar, Karo syrup and water over a low heat, stirring frequently. 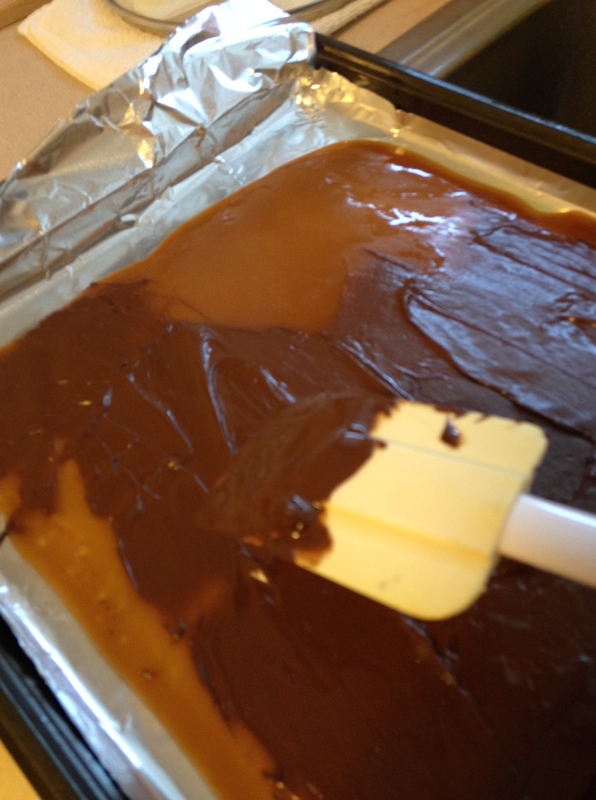 The mixture will caramelize and is ready when it hits 290 degrees on a candy thermometer. Watch it carefully, particularly toward the end of the cooking process. It will take at least 20-30 minutes to reach 290 on low heat. The mixture can burn easily. Reduce the heat to very low and stir constantly if it seems to be cooking too quickly or turning darker than pale golden brown. When the candy hits 290, remove from the heat and carefully spread it out in an even layer on the sheet of greased foil. Spread with a spatula to make a fairly thin layer. Let cool and harden. (If you are really impatient you can place the cookie sheet outside in the cold in a protected place so it will harden more quickly.) While the buttercrunch is hardening, melt the chocolate in a saucepan (or microwave 2-3 minutes) over very low heat, stirring until smooth. If you choose to let the buttercrunch harden outside or in a very cold spot, you must bring it back to room temperature before spreading with the chocolate. 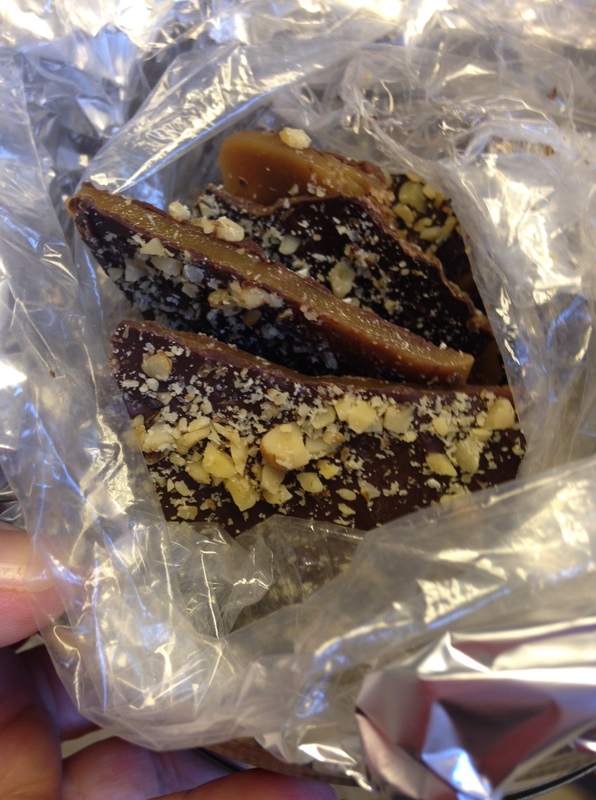 If the buttercrunch is too cold, the chocolate won’t adhere properly. 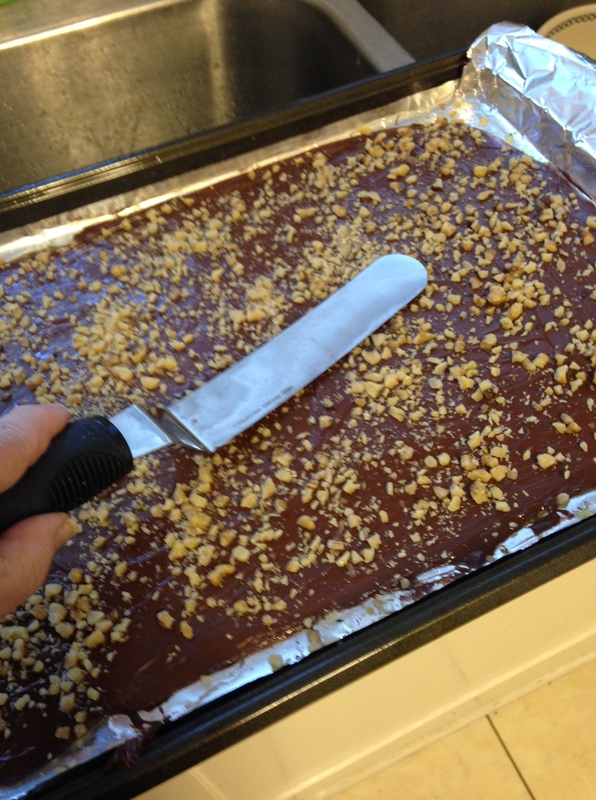 When the buttercrunch is hard to the touch (you shouldn’t feel any soft spots), use a soft spatula and spread a thin layer of chocolate over the entire thing. Sprinkle with half the nuts, pressing down lightly so they adhere. Again, if you are the impatient type, you can let the chocolate harden in a cold spot. The chocolate should be fully dry — no wet spots to the touch. Carefully lift the foil ends with the candy from the cookie sheet (set is carefully on the counter); place the cookie sheet on top of the foil and candy. (This is a bit like taking a cake out of its pan and then flipping it to stand upright on a cake plate.) Gently flip the candy over onto the cookie sheet and peel away the foil. Don’t worry if it breaks a little – just slide the pieces back together and use the chocolate to “glue” it back together. 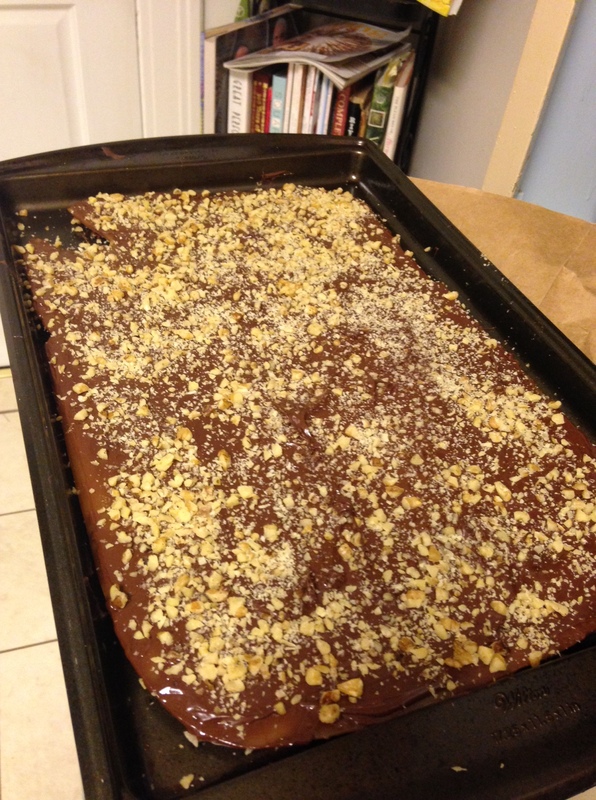 Spread the remaining chocolate on top of the other side of the buttercrunch. Sprinkle with the remaining nuts, pressing down lightly. If you want, this is the time to lightly sprinkle sea salt on top. Let the chocolate harden and set in a cool spot. 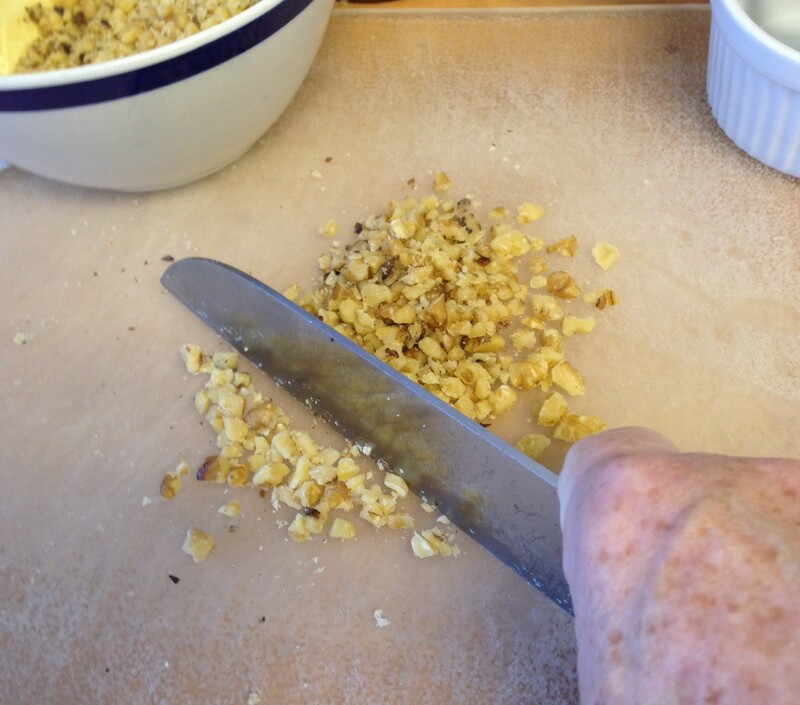 When the buttercrunch is dry and hard, break it into small pieces. You can keep it in a cool, dry tin or tightly sealed plastic bag for up to two or three weeks.